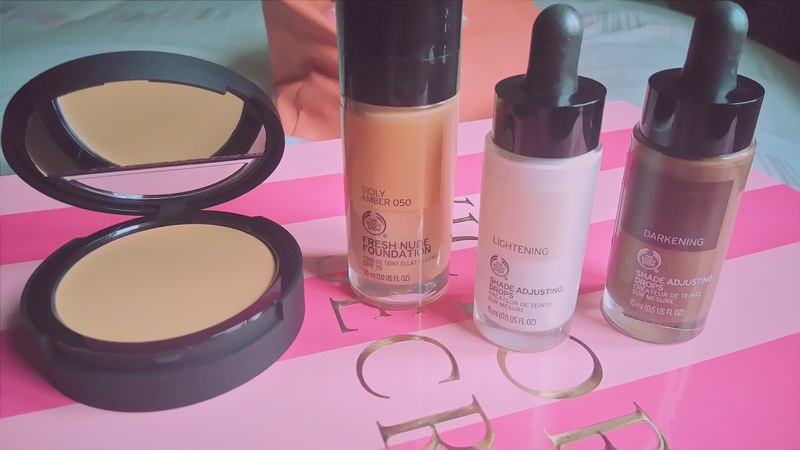 This Christmas, my mum gifted me with The Body Shop's new shade adjusting drops and foundation. I was super excited to use and mix the products from the get-go and I have not been disappointed. Being on the lighter side of being dark skinned, I find it very difficult to find a shade of foundation which is an exact match to my skin tone. I usually use L'Oreal True Match liquid foundation which is the closest that I can get to an exact match. 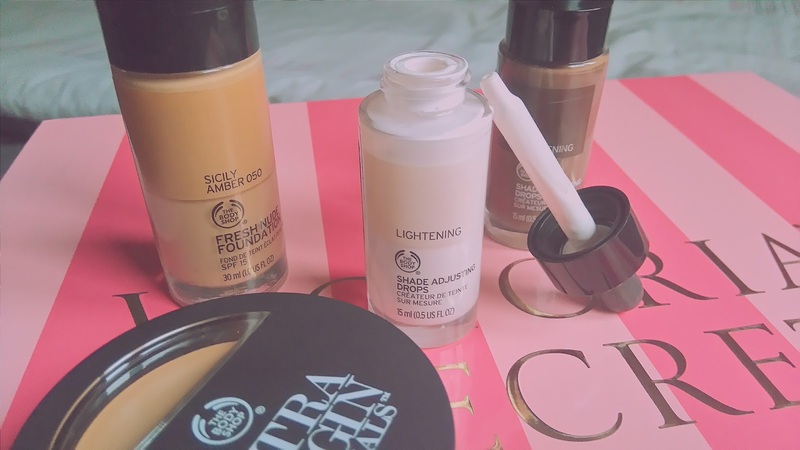 It's a good, affordable foundation and the coverage is commendable. However, I was so ready to try something new and switch up my routine. The lightening drops are designed to do as you would expect: 1 drop lightens foundation by up to half a shade. The same for the darkening drops, they darken by half a shade per drop. I darken my foundation ever so slightly by adding two drops onto the back of my hand and mixing with the foundation. I apply this all over my face and blend as usual. I then take the lightening drops and mix them in with a creamy concealer on the back of my hand to create a creamy highlight shade. Using the same technique, I take the darkening drops to create a creamy contour shade. I apply the highlight/contour and blend as I usually would. I'm loving this method over the colder months as it gives a matte, sleek look - without the extra shimmer and glittery bits that highlight/contour products are usually packed with. My overall conclusion: I would recommend this product to anyone who finds it difficult to find an exact match foundation. The retail price for shade adjusting drops is currently £10.00 per bottle. 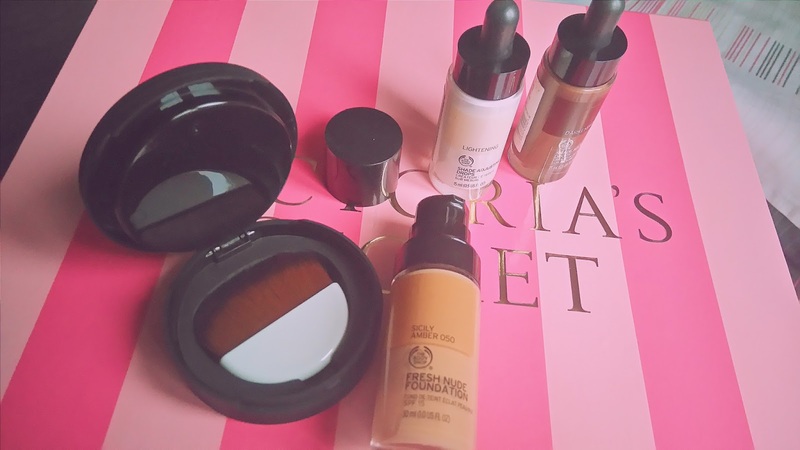 The foundation that I use from The Body Shop is currently £15.00. That's £35.00 in total for the two shade adjusters and the foundation. I wouldn't usually spend this much money on a foundation that isn't high-end, however, I think I would definitely purchase this foundation for myself when I run out.